Are you still looking for that perfect dish to complete your Thanksgiving table? 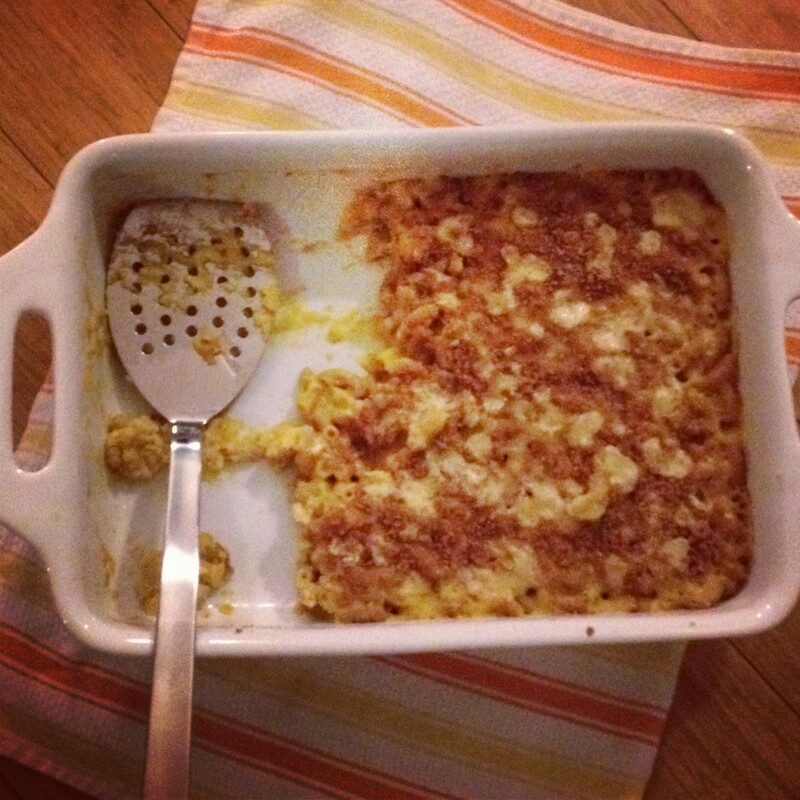 Here’s a tasty suggestion: Pumpkin Macaroni & Cheese. 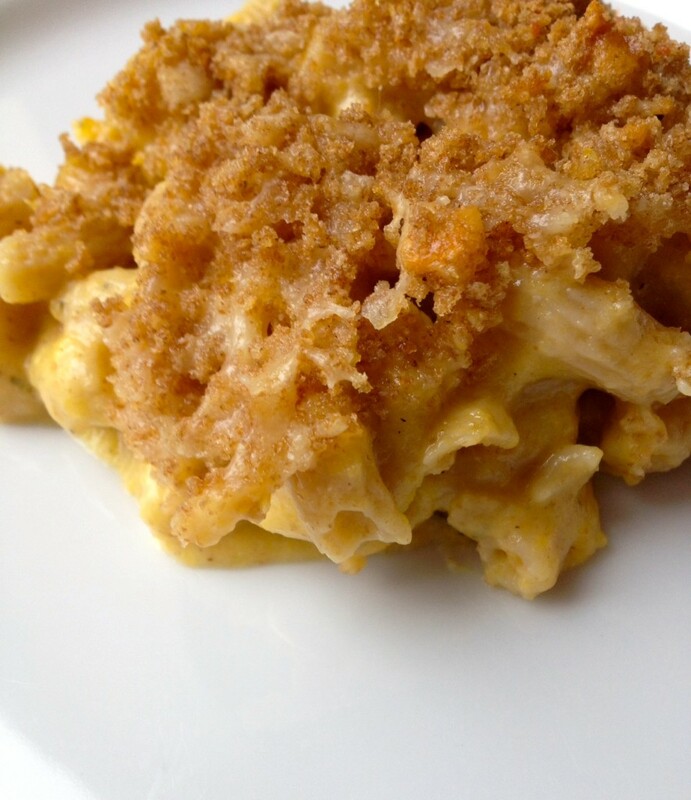 It is a delicious meatless option that is packed with flavor but with the addition of the pumpkin purée, is lighter than a traditional macaroni and cheese. Plus, if you are in a situation where you need to hide the vegetables, no one will be the wiser. 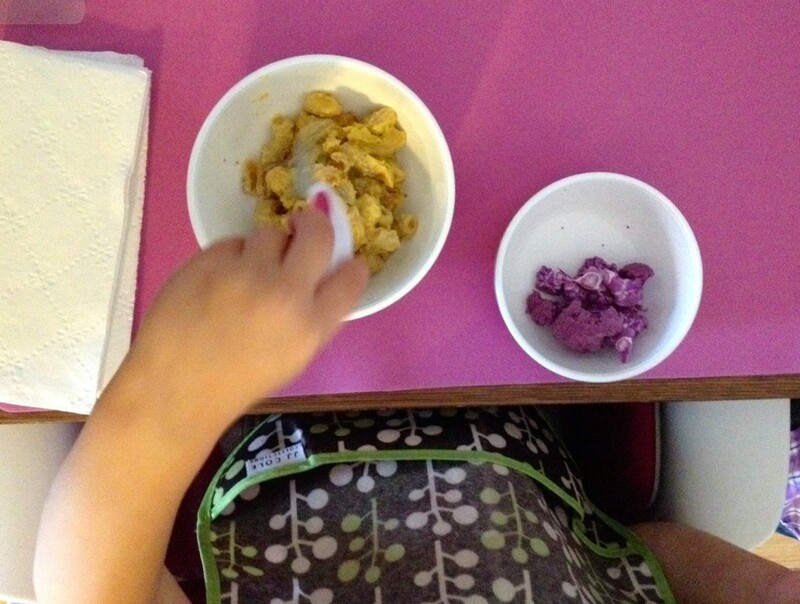 This is also a great meal to get your teeny tiny sous chef to help you cook. I wasn’t able to get any photos (Boo! ), but Eliana helped prepare this meal by helping my husband shred the cheeses and she helped me to stir the roux. Happy Family Cooking! Heat the oven to 375° and lightly grease a lasagna pan or large, deep baking dish. Mix the reserved ½ cup of cheddar cheeses and the bread crumbs together in a small bowl for topping the cheesy pasta before you bake it. Cook the pasta according to the package directions minus 2 minutes. After it has cooked, drain the pasta and return it to the pasta pot. 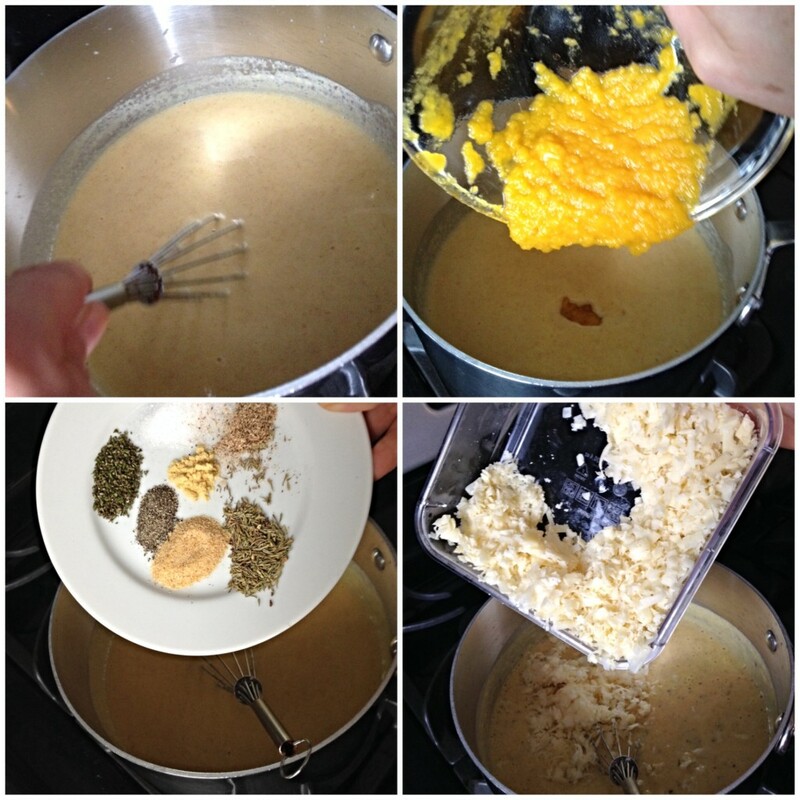 While the pasta cooks, begin creating the roux. In a medium saucepan, heat the butter over medium-low heat. Once it begins to melt, turn up the heat to medium and let the butter begin to brown. Whisk in the flour until you create a thick paste. Slowly whisk in the milk a little at a time so it forms a thick sauce. Keep whisking as you stir in the puréed pumpkin and all the spices. 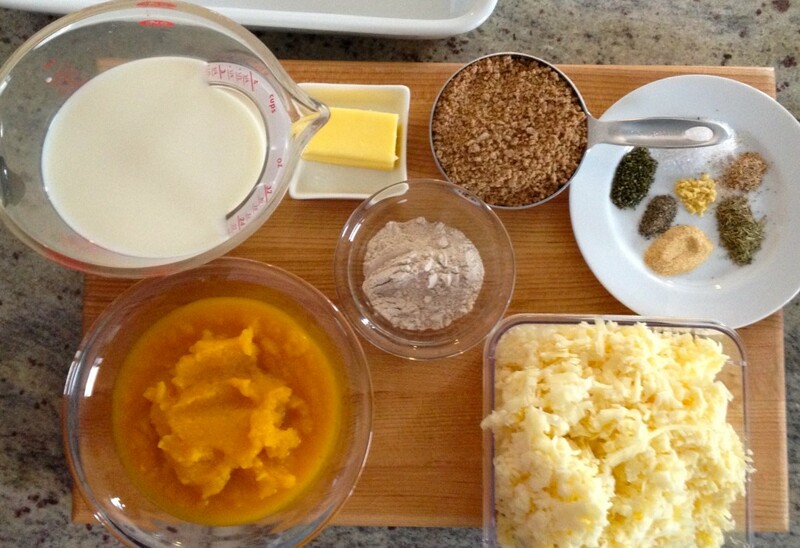 Add the 1½ cups of the mixed cheddar cheeses and stir until it is all melted. Taste and adjust spices as desired. Carefully, pour the sauce over the cooked pasta. Use a rubber spoon to make sure all the pasta is coated evenly. Pour the pasta and sauce into pan/baking dish. 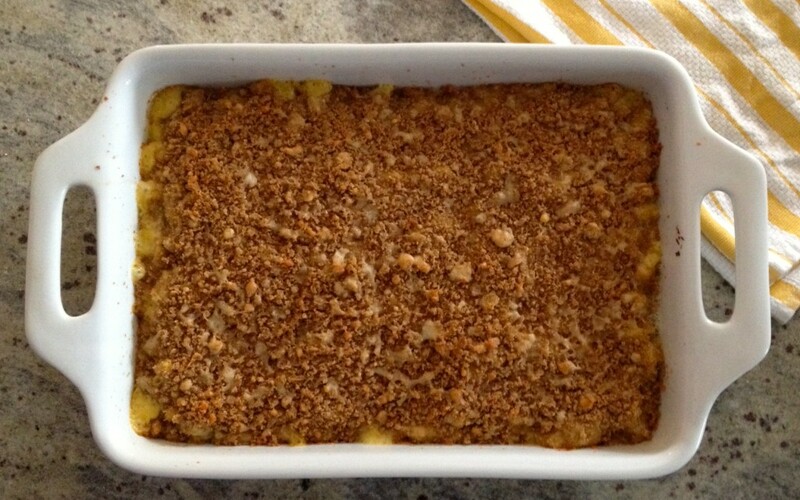 Top with the bread crumb and reserved cheeses mixture. 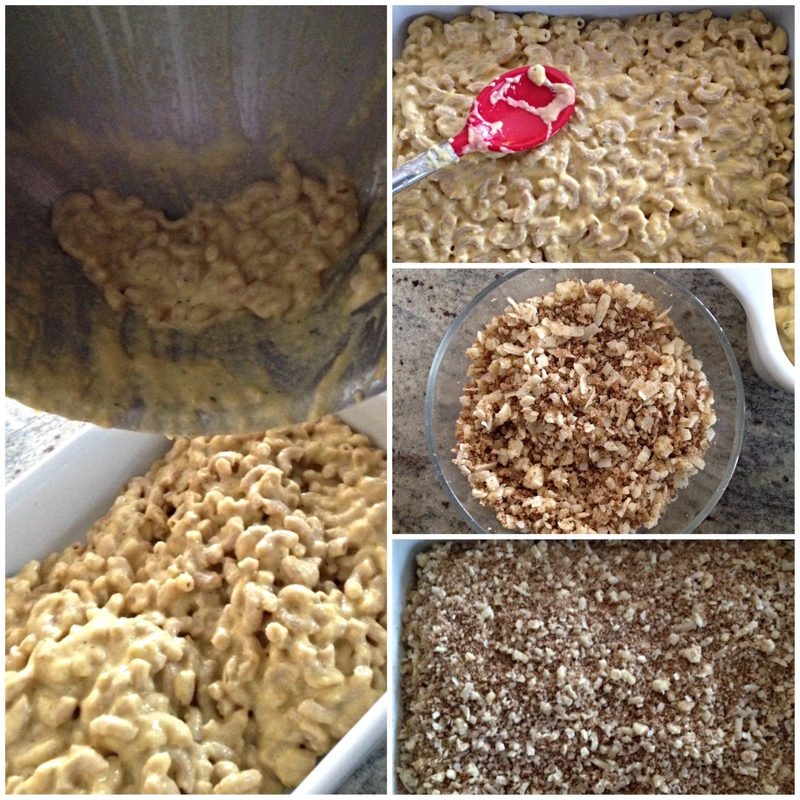 Bake for 20-25 minutes or until the cheese bubbles and the bread crumbs are lightly browned. Let cool for around 5 minutes before enjoying.